Kindle Reader - Which One is Best for Those with Macular Degeneration? The Kindle reader is an electronic reading device that turns every book into a large print book. Amazon offers several different e book readers that range in size and features such as a touch screen or a color screen. You can increase the text size of your favorite book or on line magazine. If your eyes tire, just increase the font size and continue reading comfortably. Adjustable font sizes are available on all models. Here you will see the corresponding Microsoft Word font size. 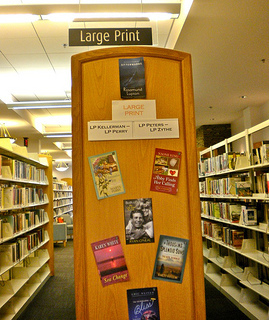 Now every book in your library can be large print. You can now read large print newspapers as well. 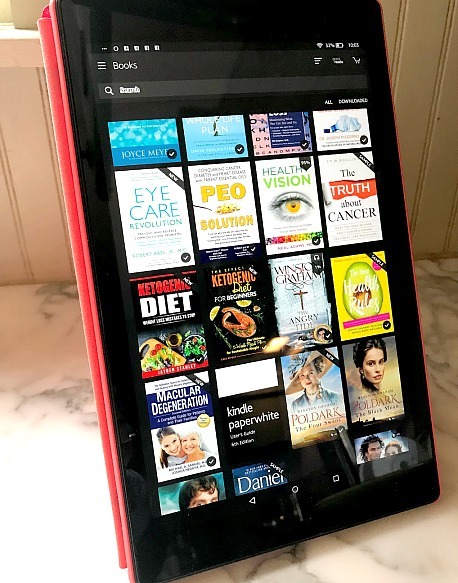 The Kindle is an e book reader that is available at Amazon and now many of the Kindles can be purchased at some stores like Target, Staples and Best Buy. You will be surprised at how easy it is to download a book right to the Kindle. This means you can be almost anywhere and quickly and easily download a book to your wireless reader if you opt for the 3G technology. Depending on which model you get, the 3G model uses the same technology as cell phones - so if you can get a phone signal you can download a Kindle ebook or newspaper - quickly - in less than 60 seconds. 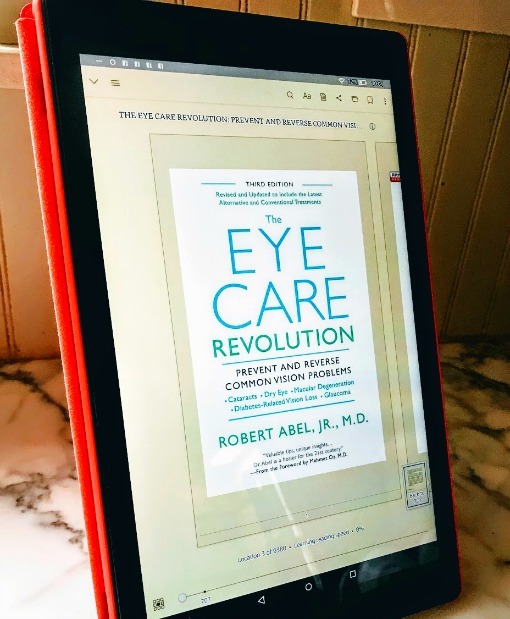 The Kindle Paperwhite is a great e book reader for those with age related macular degeneration (AMD). It has a whiter background than the other Kindles and a back light that does not produce glare. Features such as better contrast with sharper text AND darker text make it appealing to those who are experiencing the symptoms of AMD. 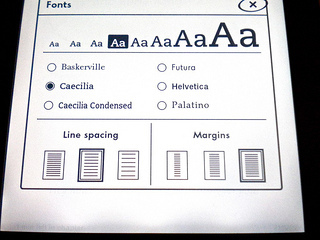 This recently released, e book reader with a ppi of 300 (number of pixels for more detail and clarity) also offers 8 adjustable font sizes to turn every book into large print. 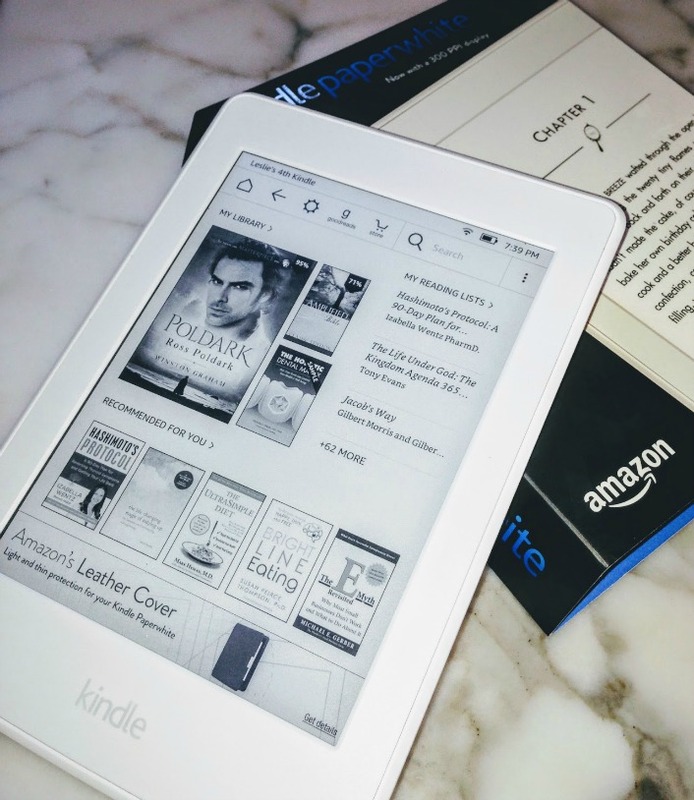 "I purchased the Paperwhite for my mother who is 86 and suffers from macular degeneration. She has limited vision and is stuck at home a lot. Last Christmas I purchased a Nook that she could not see at all so it was returned. This year I decided to try the paperwhite since it has a brighter white background. I loaded a number of books before it was wrapped so she would be ready to read and bought audio books as a plan B. She is technology challenged but I got it turned on and opened the first book to see if it was going to work for her. I had pre set to the largest font and the brightest white. She was able to start reading immediately. She cried and cried that she was finally able to read a book. Having been an avid reader for years and having not been able to read a book for 2 years she was absolutely thrilled. Since starting she has had some trouble with the function sections but when she gets stuck she has a neighbor get her back to where she needs to be. This was the "hit" of Christmas and made a older woman very happy. It needs to be marketed to retinologists to suggest to their patients." "My 93 year old mother has Age Related Macular Degeneration (AMD) It is the leading cause of permanent vision loss for people over 60. This video shows her reading text on my new Kindle Paperwhite for the first time. She cannot drive nor read normal size print yet is able to read text on the Kindle. (largest font size) I highly recommend if you have a family member who is afflicted with AMD and enjoys reading to give this device a try." I have subscribed to Kindle Unlimited for over a year. If you love to read, it is one of the best deals for e-books. There are over 800,000 titles and thousands of audiobooks to choose from. Try new authors, subjects and genres for $9.99 a month. You can switch from reading your book to listening to it when you pick a book that says "Kindle Unlimited with Narration." The narration is by a professional and not a volunteer which makes it more exciting to listen to. Free Kindle Books are available as well. Many popular classics like Jane Eyre by Charlotte Brontë or Monte Cristo by Alexandre Dumas père are just two examples. Of course you don't have to have a Kindle to take advantage of these free ebooks, just download the free kindle apps to your computer, laptop, netbook, iPod or iPad. The Kindle Fire offers different features such as a touch screen and color images. 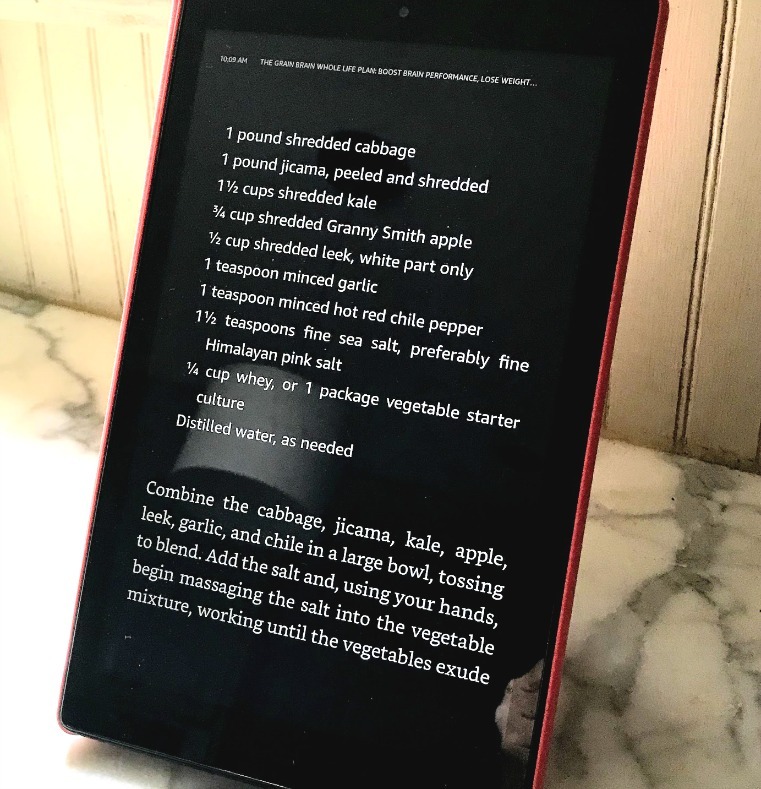 Depending on how one uses this Kindle reader, it is the better device for those who like to read magazines or books with lots of images like cook books or children's books. I have subscribed to several magazines that download right to my Kindle Fire - Better Homes and Gardens, Eating Well, and Southern Living. The vivid colors of the Kindle HD truly make it more enjoyable than hard copy magazines. This device is much more than a reader - you can surf the internet, watch movies, listen to books, and check your email. The larger screen size, 10" screen is advisable so that when you need to enlarge the font, more words can be seen at one time. Depending on the stage of one's macular degeneration, the Kindle reader may not provide the magnification that is needed. You may just have to try it first to see if it will work for you or for the person you are buying it for. If it doesn't work, here is the return policy. You can return your Kindle for a full refund within 30 days of the day you received it as long as it is in new condition and in accordance with our return policy. Your Kindle is not eligible for return and refund after the 30-day return period has expired. Want a cheap ebook reader? How about getting one for free. The Kindle software is available for free to download to your PC, laptop computer or iPad. It's a great way to try it before making a large investment. Consider using the Kindle Reader for other purposes besides sitting at your computer to read a novel. What if you have a lap top computer in your kitchen and you zoom text your recipes from downloaded cookbooks for easier viewing. What I find so great about Kindle eBooks is the cost and the convenience. I have the 3G Kindle, which means I can download a book to my Kindle Paperwhite anytime and almost anywhere - in just one click. My account information is saved in my Amazon account, including my credit card number. For Kindle readers without 3G a book can be downloaded anywhere there is WiFi. Whether you prefer biographies, classics, investment guides, thrillers, or sci-fi, thousands of your favorite books are available. Not sure if a Kindle book is going to be one that you like? You can get the first chapter for free, read it and then decide if you want the book. The Kindle Store offers many books currently found on the New York Times® Best Seller list. New York Times Best Sellers and most new releases are $9.99. It is now possible to "borrow" books from your local library. No more driving to the libary and then finding that they don't have the book you want. No more driving back to the library to return your books and my personal favorite, is not more late fees. When your borrowed time is up, the ebook simply disappears from your Kindle. You will need to get a current library card from your local library. Books are delivered via Wi Fi - not through the 3G wireless service. A couple of days before your ebook is due back you will get a notice.